It was a quite a good start for August and I hope it would continuously be and get more better. A lot of good vibes are coming in... well, regardless of the awful heat and the unpredictable rain that has been such a brat. That wouldn't stop A&F to open next week. Everybody's excited! The other day (Wed) was fun! I get to hangout with my friend Chibi and met up with my dearest college friend, Chollo and his lover. Missed 'em!... Then the next day was a cheat day with sister at Taco Loco (SOHO). Yum! yes your instagram life is so fabulous! :D Oh I'm doing my first ever giveaway which is an Alexander McQueen silk-chiffon skull print scarf, check it out. 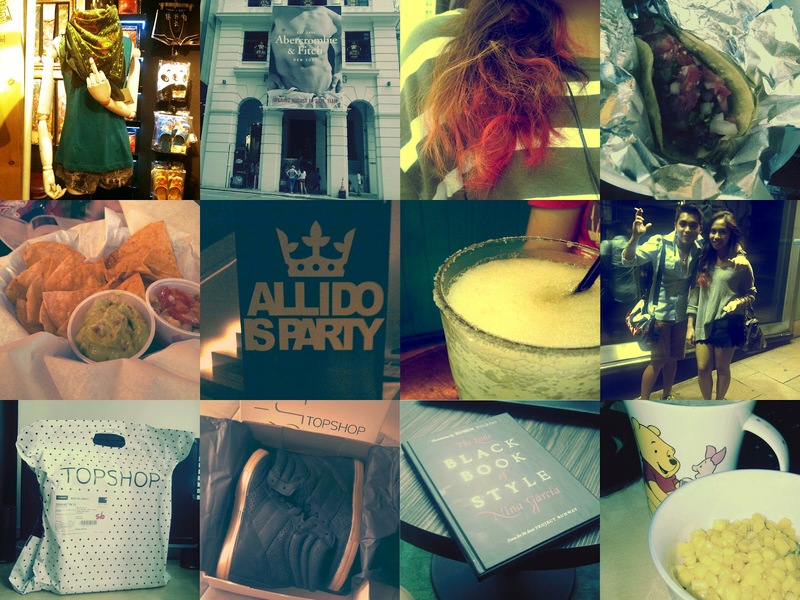 very nice photo collage and i bet you have some cool stuff from topshop!